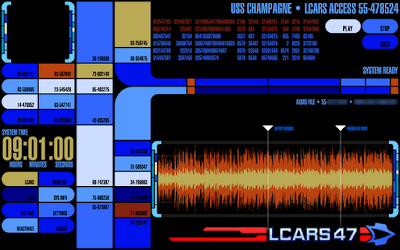 A new addition to LCARS 47 will be a few sound samples of music used throughout the series. More of an experiment than a feature, just to see how it all works out. The music is not taken from the actual show, but rescored and adapted. The quality is fitting of the overall app - I'm sure you'll enjoy listening.